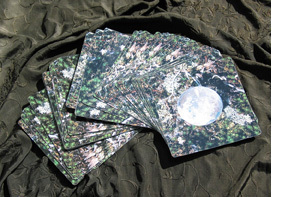 Choose any card from the deck of 52 original 8x8 inch laminated photos (see thumbnail page). You can purchase one or more single cards from the deck. These are great for meditation, altars, wall art, replacement cards, gifts, etc.